Pre-Concert Pool Party in Las Vegas on October 15th! 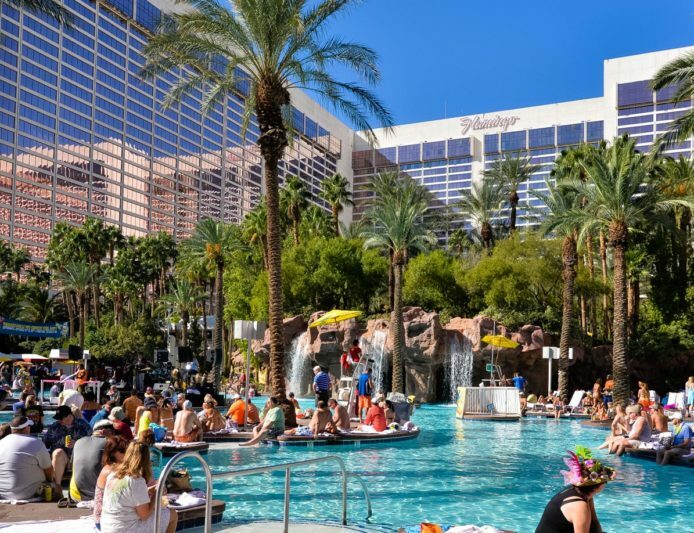 Margaritaville Las Vegas will once again host its annual pre-concert pool party at the Flamingo Las Vegas GO Pool to coincide with Jimmy Buffett’s concert at the MGM Grand Garden Arena on Saturday, October 15th. The “Fin Begins” at 11 a.m. on Saturday with an all-day, outdoor, free admission pool party that offers guests interactive games, great food and drinks, live entertainment by The Boat Drunks and exciting giveaways! Guests at the party will have an opportunity to “change their attitude” whether they are “changing their latitude” a little or a lot. From hanging out at the pool with great live music while grabbing a drink and a bite to eat to hitting the poolside gaming tables, Margaritaville has something for everyone all weekend. The band Status will also be performing inside Margaritaville Restaurant on Friday, Saturday and Sunday night at 10:30 pm. Time: 11a.m. – 6 p.m.